We breath it, our soul soaks it in and our hands let it out. The WILD comes from our HART. 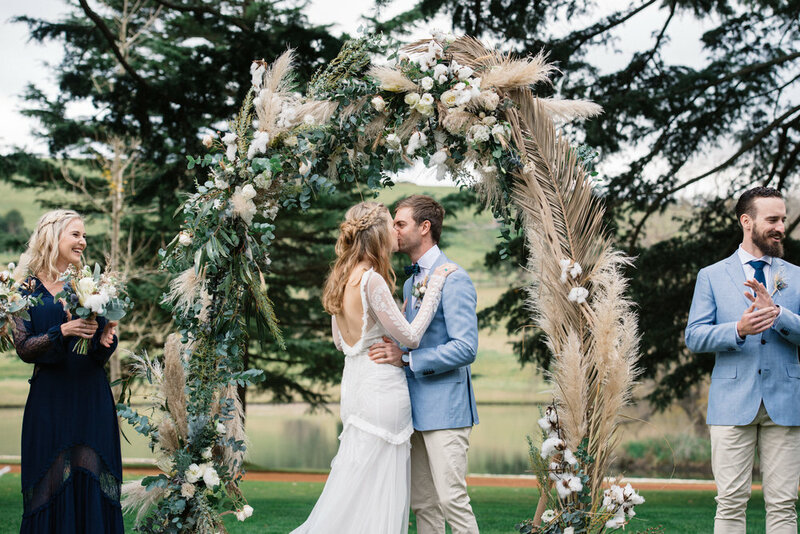 Melissa Hart and Natalie Hart established Wildharts to pair the weird and the wonderful in the botanical world to create beautiful, romantic and unique designs. We throw a whole lot of feeling into our floral work and that starts way back at the initial meet where we get to know you both so we can add all that personality, your love for one another, our own love and years of experience into your floral designs that adds the final touch to your bridal party, ceremony and venue. We service the Hunter Valley, Newcastle, Mid North Coast and Central Coast region regularly though do the odd travel for weddings so send us an email to see availability. If you are after a general price list please email us at info@bloomsondarby.com to request this. Please note due to a high volume of enquiries we do not create personalised quotes until you have met with us for a wedding consultation at our studio or through a arranged phone discussion. A lot of thought and energy goes into our wedding quotes and we are believers in selecting your suppliers based on their experience, knowledge and overall good vibes. Get in touch - recommended 6-12 months out. Blooms on Darby and Wildharts will refuse bookings if our capacity is at 100%. Arrange a free of charge consultation with us on a Thursday or the last Sunday of each month where you will bring your ideas, vision, any inspirational images and a estimated budget. Paid consultations are available outside these dates which is subtracted from your booking if you proceed ($60). Receive a personalised wedding quote within 7 business days from the initial consultation. Detailed quotes will not be created prior to a scheduled phone or in person consultation. Lock in Wildharts with a non refundable booking fee of $200.00 subtracted from your final quote. Additional consultations at the couples request incur a fee of $60.00 and added to your invoice.